A solo sea kayak expedition in East Greenland's Ammassalik region: Icebergs! The Danish Meteorological Institute supplies satellite ice charts on an almost daily basis of the Greenland coastline and fjord systems. The latest ice chart from 6th June shows two massive icebergs in the Ammassalik fjord systems. The larger of the 2 measures approximately 2.5 kms long, the second one isn't much smaller. 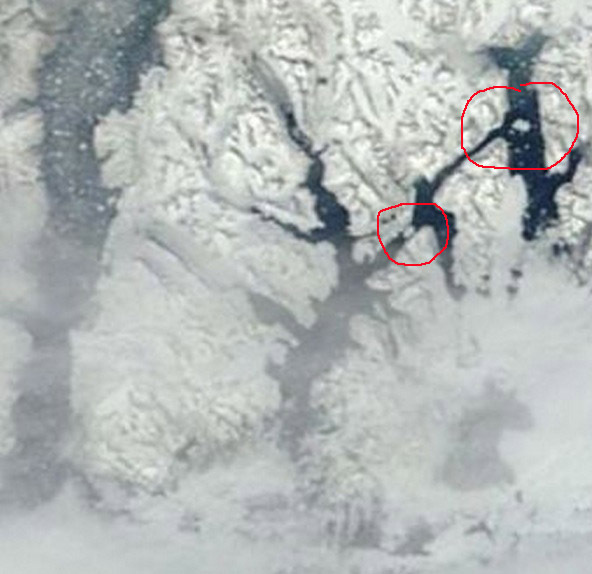 Both of these icebergs have broken free from the tidewater glaciers to the north, either Karale Glacier or Knud Rassmussen Glacier. Huge!